Quality colt Lucky Street was able to show his customary early speed and pull out plenty in the final stages to win today’s Listed Miss Andretti Stakes. After jumping only fairly, rider Paul Harvey scrubbed the colt along early and it wasn’t long before he found his customary role out in front. The son of Oratorio had to cope with mid-race pressure from Dueton but he was able to get the better of that galloper before outlasting the fast finishing burst of First Among Equals who finished runner-up. Trainer Trevor Andrews was pleased his charge was able to account for the older horses and further enhance his prospects post racing. “He’s only a three year old colt racing against the older horses”. “He dug deep, it was a good tough win”. “Winning an open listed race will enhance his stud career”, he said. The Simon Miller prepared First Among Equals was four to five lengths off Lucky Street on straightening and ran a blistering last 600m (33.84) to get within a long head of the winner. The speedster has returned in fine order and should prove hard to beat in whatever he steps out in next. Silverstream (3rd) had to be ridden aggressively by William Pike a long way from home and she looks to be coming towards the end of her campaign. 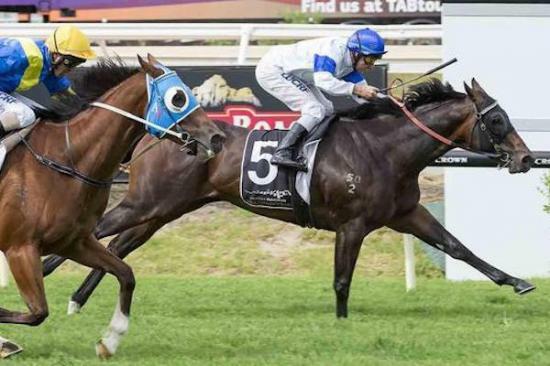 Andrews and connections will now target the 3yo Magic Millions Trophy at Pinjarra with Lucky Street, setting up a potential clash with boom filly Hot Goods.